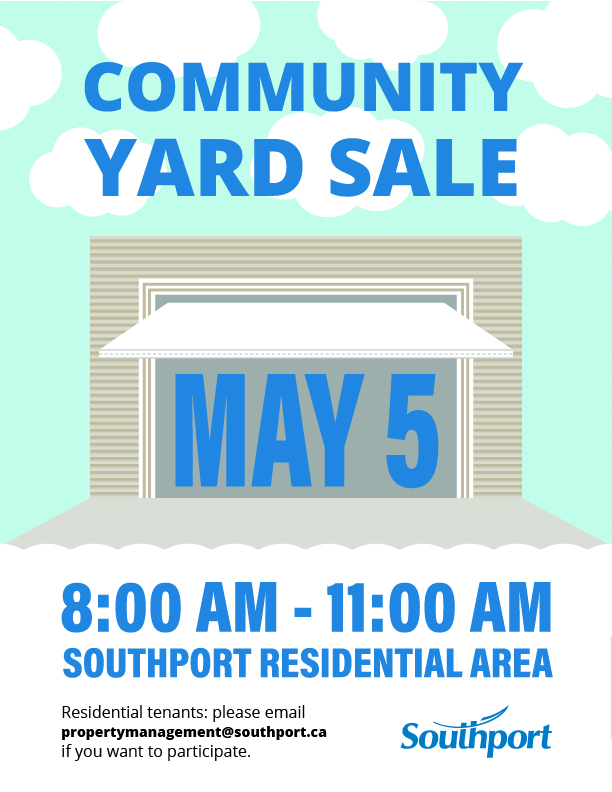 Southport is once again hosting a site-wide community yard sale for all residential tenants on Saturday, May 5 from 8 AM to 11 AM. The general public is encouraged to attend. All units that are participating will be highlighted on a map that will be posted on our website.